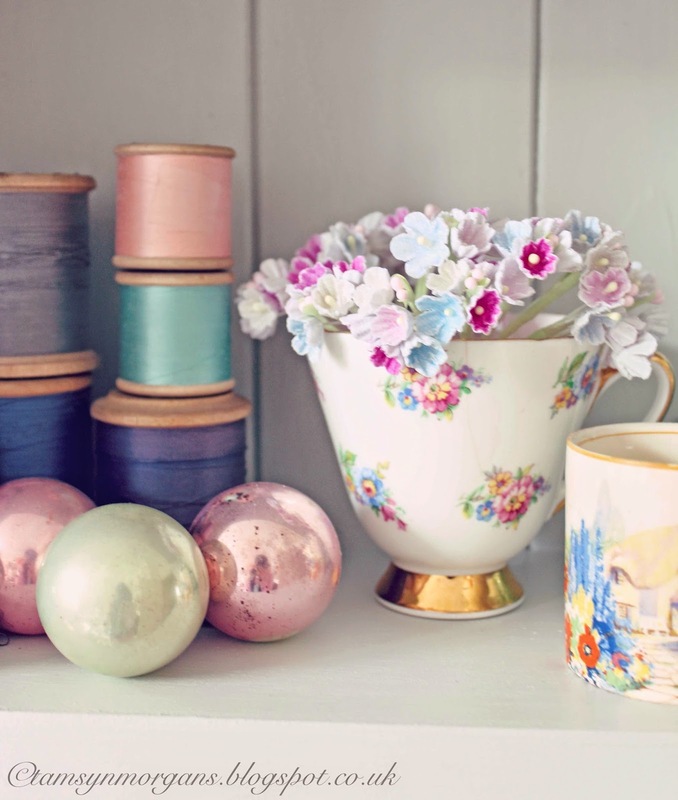 I hope you’ve had a great week – I’m very much looking forward to finishing some decorating this weekend, starting (and maybe even finishing!) some craft projects, and hopefully sitting in the garden if the weather reports turn out to be completely wrong! These little shelves were from an auction, and a few weeks ago I booked a handyman to come and put up some huge mirrors for me, so I got him to put these up for me too. 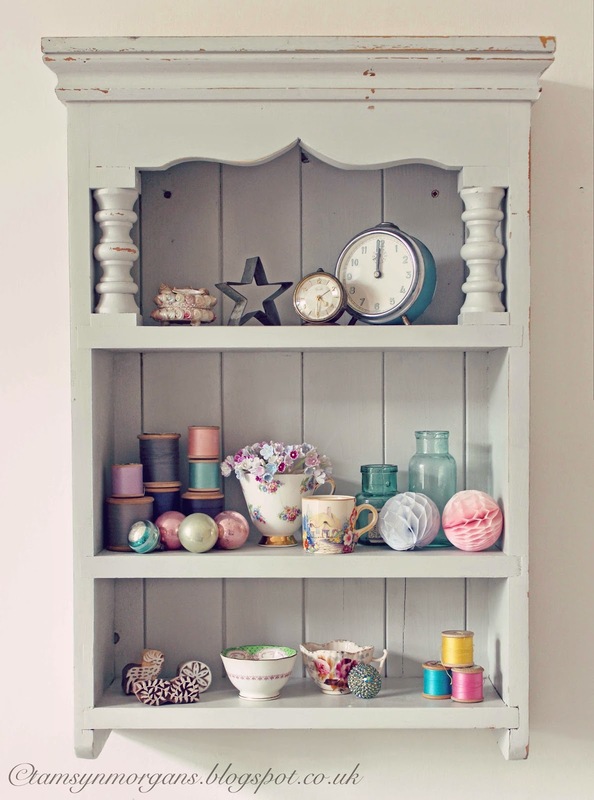 I have filled the shelves with little vintage treasures, and it makes me smile whenever I see it, with it’s whimsical clutter. 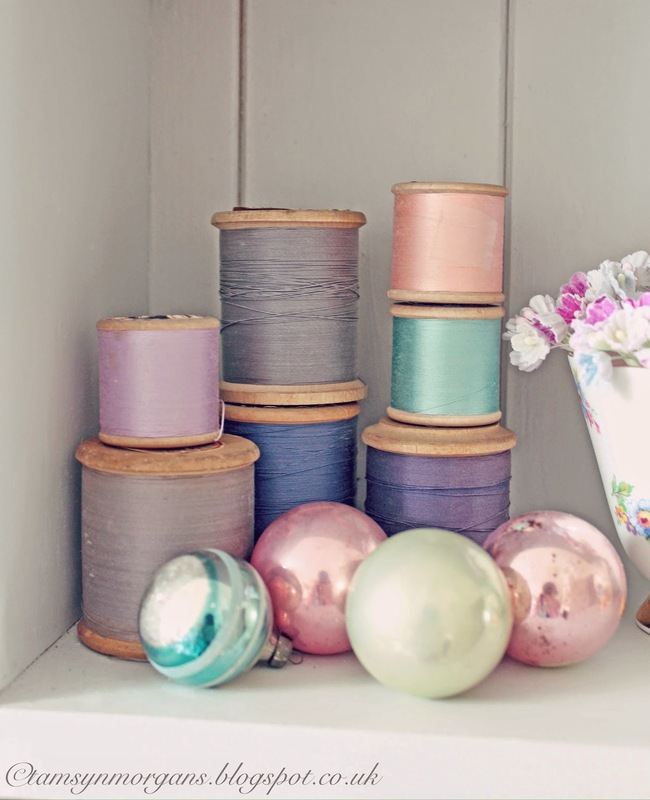 I love the cotton reels in their muted candy pastel shades, and I can never resist a teacup or little clock when I see one.